Don’t Forget The Weather Predicting Pig! Dr. Page Wages, a Raleigh veterinarian loves animals so much she has 93 on her “Funny Farm” and a Weather Predicting Pig. Elmer the Pig has some weird behavior when it’s going to rain. Dr. Wages describes her big family and what she has to do every day to care for 93 animals. Russian President Vladimir Putin has signed new animal welfare laws. The laws include banning petting zoos and animal fights. It also bans the ... See More killing of stray animals, which must instead be captured and placed in shelters. Also, when those stray animals are captured and taken to a shelter, they can only be captured out of sight of children and it must be recorded for public review. This was not a fast change. The law was first submitted to the Russian parliament in 2010 but was only approved and signed into law last month. Lisa Baronoff was tired of cleaning her dog’s paws after winter walks in Manhattan. She became worried after her cocker spaniel got sick from the snowmelt chemicals put on sidewalks. She took her marketing background and launched her dog waders, Walkee Paws. 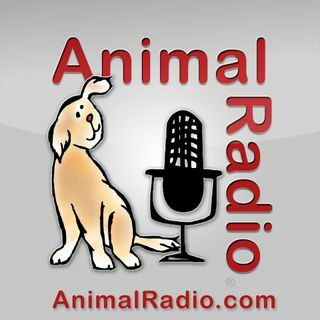 She’s on Animal Radio this week to tell us about her invention and foray into the 72 million dollar pet sector. We all know that vision, forward thinking, risk-taking, determination, hard work, dedication and a good game plan are what it takes to become a successful entrepreneur. However, something else isn’t so well known also helps. According to a new study conducted for Canfield Pet Hospitals, having a pet can actually help people become successful and better company leaders. The research found that behind most C-suite executives (which are the CEO’s, CFO’s, COO’s), is a pet.